Two years ago, Krokofant were preparing to release their eponymous debut album on Rune Grammofon. It was an exciting time for the Kongsberg based trio. Krokofant were regarded as one of the rising stars of the Nordic music scene. Great things were forecast for Krokofant, who were being described by critics as one of the most exciting, innovative and pioneering Norwegian groups. This was high praise indeed; as Norway is blessed with a plethora of talented bands. That’s been the case for several years. Norway had, and still has, one of the strongest and most vibrant music scenes in Europe. Countless bands have made a breakthrough in the last few years. This includes Elephant9, Cakewalk, Bushman’s Revenge, Moster!, Labfield, Syydive, Finland, Labfield and Space Monkey. In March 2014. Krokofant were all set to join their ranks. 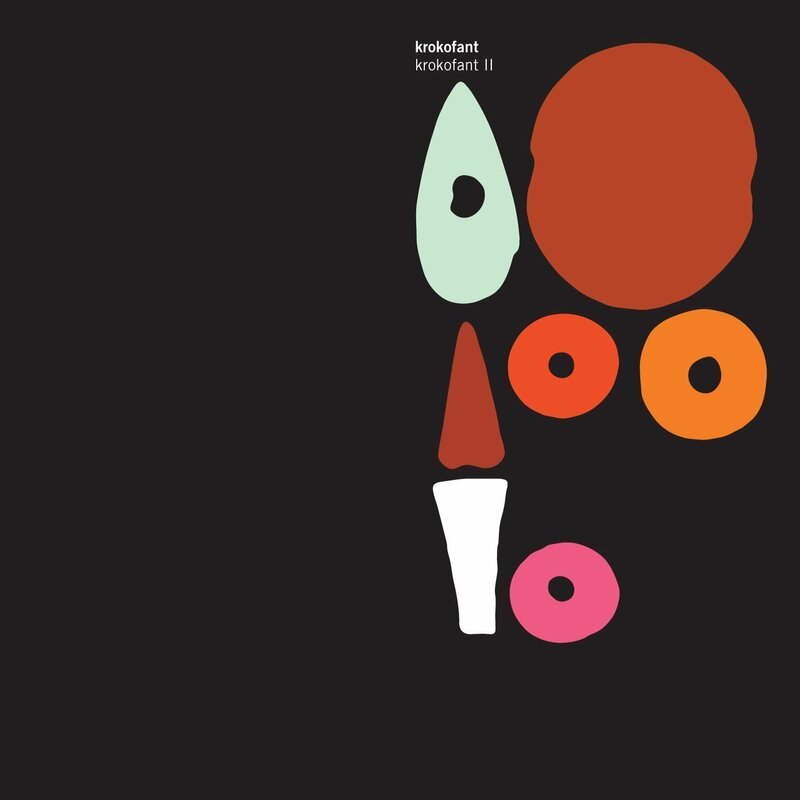 That was when Krokofant was scheduled for release by Rune Grammofon. The album was the result of several years hard work. It was well worth it. Now, Krokfant were being hailed as one of Norway’s most exciting and pioneering groups. Critically acclaimed reviews of Krokofant praised the band’s pioneering, genre-melting sound. After years of hard work and dedication, Krokofant were regarded as one of Norway hottest musical prospects. It could all have been so very different. Especially, if saxophonist Jørgen Mathisen hadn’t gone into that guitar shop. Originally, Krofofant were just a duo, consisting of guitarist Tom Hasslan and drummer Axel Skalstad. Then in 2012, Tom and Alex met saxophonist Jørgen Mathisen, in a guitar shop in Kongsberg, a town in Southern Norway which is famous for its annual jazz festival. Straight away, Tom, Alex and Jørgen hit it off. Straight away, Tom, Alex and Jørgen hit it off. When Tom, Alex and Jørgen began playing together, it quickly became apparent that Jorgen was the missing piece in the musical jigsaw. No wonder. Jorgen was already an experienced musician. He’d already played in groups like Shagma, The Core and Zanussi Five. Soon, the new lineup of Krokofant became part of an innovative musical movement that’s sweeping the Norway. So much so, that Krokofant epitomise this new innovative and exciting musical movement. Part of Krokofant’s music is improvisational. They fuse improvisation with rock beats and driving rhythms. Essentially, it’s a marriage of avant rock, free jazz, jazz rock and progressive rock. That’s a good description of Krokofant’s live sound, and their critically acclaimed eponymous debut album. Probably the best way to describe Krokofant’s music, is a marriage of the Joycean progressive rock odysseys of King Crimson and Henry Cow, with Peter Brötzmann’s free jazz ensembles. Add to that, the influence of early-seventies jazz-rock pioneers; including The Mahavishnu Orchestra, Terje Rypdal and Ray Russell. It’s a unique and captivating fusion of raw but refined power, with discipline, energy and enthusiasm. Almost seamlessly, musical genres and influences becomes one. However, this didn’t happen overnight. Like many bands before them, Krokofant’s sound was honed by playing live. The Kongsberg based trio earned their stripes by a relentless and gruelling live schedule. That was the case for the best part of two years. This constant touring paid off, and soon, Krokofant’s star was in the ascendancy. So the next step was for Krokofant was to record their debut album. Six songs were recorded at Engfelt and Forsgren Studio in Oslo. By then, saxophonist Jørgen Mathisen had been officially confirmed as a member of Krokofant. He agreed, and with a spring in their step, the three members of Krokofant recorded their eponymous debut album. It was released in March 2014, to widespread critical acclaim. Critics hailed Krokofant as a groundbreaking album, from one of the most exciting and pioneering Norwegian bands. Given the plaudits Krokofant had received, it was no surprise that upon its release in March 2014, the album sold well. Soon, word was out, and across Europe and further afield, Krokofant’s star was in the ascendancy. As the year drew to a close, critics began drawing up their best of 2014 lists. When they were published, Krokofant found its way into many lists. Given this was only Krokofant’s debut album, this was a remarkable achievement. However, on 8th January 2016, Krokofant return will their eagerly-awaited sophomore album Krokofant II. It’ll be released by Rune Grammofon, and marks the welcome return of the Kongsberg based trio. For their sophomore album Krokofant II, six songs were penned. Five of them, C.O.T.A., Sail Ahead, Nieu, The Ship and Watchtower were credited to Tom Hasslan and Krokofant. Snakedog was credited to Jørgen Mathisen and Krokofant. These six songs would become Krokofant II, which was recorded in the familiar surroundings of Engfelt and Forsgren Studio, in Oslo. This was where Krokofant recorded their eponymous debut album. The Engfelt and Forsgren Studio was the perfect place to record Krokofant II. It was an analogue studio, and vintage equipment would be perfect to capture Krokofant’s old school sound. Providing the heartbeat, was Axel Skalstad drums. They were joined by guitarist Tom Hasslan and saxophonist Jørgen Mathisen. Christian Engfelt took charge of recording what became Krokofant II, and mixed the album. Then when Håkan Åkesson had mastered Krokofant II, it was ready for release. The resultant album, Krokofant II, is one of the most eagerly awaited Nordic Wave albums of recent years. Krokofant was one of the best debut albums of recent years. Matching its quality, never mind surpassing it, isn’t going to be easy. However, if anyone can do it, Krokofant can. C.O.T.A., which opens Krokofant II, explodes into life. There’s a real sense of urgency. 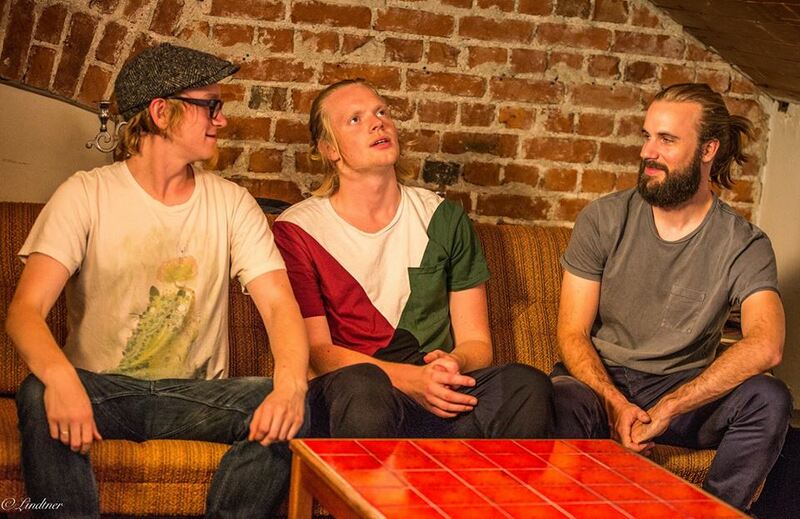 The three members of Krokofant play as one, and this tight, talented trio never miss a beat. Not with twenty-two year old drummer Axel Skalstad providing the heartbeat. He pounds, powers and thunders his way round his kit, bringing to mind John Bonham and Keith Moon. Just like these two greats, Axel plays with equal amounts of energy and enthusiasm. This can’t help but inspired the rest of the band. Not that that they need inspiration. Far from it. Jørgen Mathisen’s rasping, braying saxophone punctuates the arrangement, and goes toe-to-toe with Axel’s drums. Then, it’s guitarist Tom Hasslan’s turn to shine. He seems to draw inspiration from Jimmy Page. Not to be outdone, Jørgen unleashes another saxophone solo. Sheets of Pharaoh Sanders’ like saxophone drenches the arrangement. Midway through the track, Tom channels the spirit of Hendrix. By then, Krokofant are fusing avant rock, free jazz, progressive rock and psychedelia. For the next two minutes, Tom Hasslan delivers a spellbinding, inventive and innovative guitar solo. Somewhere, Jimi Hendrix is raising a glass to Tom Hasslan. For the last minute, Krokofant reunite to deliver a driving, powerhouse of an arrangement, where rock and jazz unite. This brings back memories of the golden age of the power trio, as Krokofant pickup where they left off on their debut album. It’s a case of anchors away, as Krokofant kick loose on Sail Ahead. A seamless fusion of jazz and rock combines on another eight minute epic. This allows Krokofant to take the listener on a musical adventure. With the rhythm section driving the thunderous arrangement along, the grizzled, growling saxophone soars above the arrangement. Gradually, Tom’s guitar starts to play a more prominent role. It’s soon duelling with Jørgen’s saxophone. They drive each other to greater heights. Meanwhile, Axel powers his way round his drum kit, fills and rolls the order of the day. Then after 1.55 it’s all change. A much more understated, jazz-tinged sound takes centre-stage. Everyone is playing within themselves. The sultry saxophone and rhythm section are straining at the leash. Very gradually, the tempo and power grows. It’s a case of when, not if Krokofant kick out the jams. By then, Jørgen’s saxophone has headed in the direction of free jazz. It wails and howls, like a melodic, cathartic unburdening. From there, Axel’s unleashes a thunderous rocky drum solo. With Tom for company, he provides the perfect foil for Jørgen’s saxophone, as rock meets jazz on this breathtaking, genre-hopping, musical tour de force. As Jørgen’s free jazz inspired saxophone wails and howls on Nieu, Tom delivers another stunning guitar solo. His fingers flit and fly up and down the fretboard at breakneck speed. This is the musical equivalent of a master craftsman at work. As his solo draws to a close, he adds a touch of delay, and Jørgen’s saxophone takes on a much more orthodox sound. This being Krokofont, it’s sure to be a curveball. It is. The solo gives way to Krokofont in full flight. They combine their hard rocking sound with a much more orthodox style of jazz. As Axel power’s the arrangement along, Tom delivers some Led Zeppelin inspired licks. Take out the saxophone, and it’s like listening to a classic rock album of the early seventies. However, Jørgen’s blistering, scorching saxophone runs and solos helps define Krokofont’s unique sound, adding a jazzy hue. Meanwhile, Axel’s thunderous, relentless drums and Tom’s blistering licks add waves of drama, as what’s akin to masterful, musical blitzkrieg reaches a glorious, dramatic, crescendo. Straight away, The Ship Krokofant sets sail. Krokofant hardly let passengers take their seats, before kicking loose. Axel plays with enthusiasm, energy and power, pounding his drums while the cymbals ring out. Tom marches Axel every step of the way. They’ve been playing together for years, and have formed a potent partnership. Jørgen who joined Krokofant in 2012, barely seems to draw breath; unleashing searing, scorching jazz-tinged solos. They bray, soaring and snaking above and around the rest of the arrangement. Meanwhile, Tom and Axel provide a relentless rocky backdrop. Later, Krokofant show their versatility. A tempo change signals a diversion via progressive rock. Then it’s all change again. Fusion gives way to blistering avant rock, before Krokofant at their most adventurous, innovative and inventive, head for home on this eight minute epic. It’s just the rhythm section and scorching, rocky guitars that open Snakedog. Soon, Jørgen’s saxophone joins the fray. He plays within himself, allowing a duel between Axel and Tom to unfold. Tom seems to be getting the better of Axel, his guitar dominating the arrangement. Axel’s drums come a close second. Then it’s Jørgen’s time to enjoy his moment in the spotlight. Everyone gets their time to shine in this fusion of avant rock, free jazz and classic rock. Gradually, Tom’s guitar and Axel’s drums begin to dominate the arrangement, while Jørgen is left to fill in the spaces. While Axel adds fills and rolls, Tom unleashes another guitar masterclass that’s reminiscent of Jimmy Page and Jimi Hendrix. Tom’s fingers race up and down the fretboard, and seamlessly, he’s at one with his guitar. Latterly, Jørgen and Tom play with a subtly, as Snakedog reaches an understated jazz-tinged ending, that shows yet another side of Krokofant. There was a reason for this. Just under two years ago, in March 2014, Krokofant had released their eponymous debut album on Rune Grammofon. It was released to widespread critical acclaim, and as 2014 drew to a close, hailed as one of best debut albums of 2014. Krokofant was also regarded as one of the best Nordic Wave releases of 2014. Following up Krokofant wasn’t going to be easy. The pressure was on Krokofant when they began recording their sophomore album, Krokofant II. After nearly two away, Krokofant returned with their eagerly-awaited sophomore album Krokofant II. It doesn’t just match the quality of Krokofant, but surpasses it. Krokofant II finds Krokofant coming of age musically, as they seamlessly flit between, and fuse disparate and eclectic musical genres. On Krokofant II, there’s everything from avant rock, free jazz, fusion and rock, to avant garde, progressive rock and post rock. There’s even hints of experimental and psychedelia as Krokofant weave their unique musical tapestry. As they do so, they draw inspiration from a wide range of sources. Both Jimmy Page and Jimi Hendrix have inspired the virtuoso guitar skills of Tom Hasslan. John Bonham and The Who’s Keith Moon have obviously influenced Krokofant’s prodigiously talented, twenty-two year old drummer, Axel Skalstad. Listening to Krokofant’s saxophonist Jørgen Mathisen, he sometimes replicates Pharaoh Sanders’ sheets of sound. Sometimes, he draws inspiration from has John Coltrane’s Impulse period. These influences have helped mould the members of Krokofant into the tight, talented band they’ve become. While Krokofant were regarded as rising stars of the Norwegian music scene, they’ve arrived with Krokofant II, which will be released by Rune Grammofon on the 8th January 2016. Krokofant II features music that’s not just bold and brave, but inventive, innovative and influential. Continually, Krokofant continue to push musical boundaries, and constantly seek to reinvent themselves and their music. Not many bands modern bands are willing to do that. However, Krokofant do. This becomes apparent on Krokofant II, as Krofofant take the listener on a genre-melting musical journey. Each and every song is different and full of subtleties and nuances. Having thrown another curveball, seamlessly, Krokofant change direction, and your hear another side to their music. That’s what you expect from musical pioneers. That’s the perfect way to describe Krokofant. They’re the latest in a long line of Norwegian musical pioneers. However, Krokofant are at an important stage in they’re career. The Kongsberg based trio, are about to release their much-anticipated, and eagerly awaited, sophomore album Krokofant II. It’s a career-defining album from Krokofant, who come of age musically on Krokofant II, an album which features genre-melting, groundbreaking music that should see Krokofant become one of the leading lights of the vibrant Nordic Wave movement. ← INTERVIEW WITH MICHAEL ROTHER-50 YEARS MAKING MUSIC.